When Christian dies in battle, the shattered Roxanne declares she will never love another, and betakes herself to a nunnery. Shut away from the world, her gaiety and beauty and youth wither behind convent walls. Cyrano becomes a weekly visitor to the convent, a witty but avuncular figure. Years pass thus, until one day, Cyrano is bested by sneaking assailants, and mortally wounded. He nonetheless drags himself to his weekly appointment with Roxanne. The older, wiser Roxanne confesses to Cyrano that though she loved Christian’s beautiful face and form, truly it was his heart, she loved, the depth he expressed in words; she would love him even if he were ugly. At last Cyrano can tell her the truth of his love for her. The man dying in her arms is the man Roxanne had loved all along. She has lost him twice. A true tragedy. Set in 17th century France, the era of The Three Musketeers, Edmond Rostand’s 1896 play is full of swath and grandeur. It has been staged so often it’s rather an old theatrical warhorse now, over-done gestures, gleaming swords, brandishing capes, all so dated. But the dialogue! 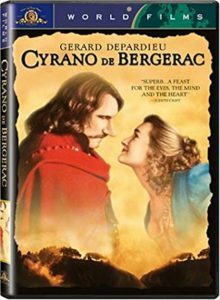 Cyrano’s witty aphorisms, his take-downs of the vain, the crass, the bullying, his words of love, those remain wonderful! Even in the earliest drafts of The Great Pretenders, I could see parallels to the story I wanted to tell. 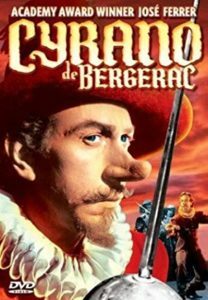 After all, at its heart, Cyrano de Bergerac is a great literary hoax, perhaps the greatest literary hoax ever. Roxanne Granville too perpetrates a literary hoax. As Cyrano uses his silvery words to woo Roxanne, so Roxanne Granville asks young, unsuccessful writers to offer their names to cover for her disgraced friends. In early drafts of the novel Roxanne named her agency Cyrano. I changed it to the simple Granville Agency because as the story unfolded, the parallels grow somber. The play is a tragedy of everyone using everyone else. 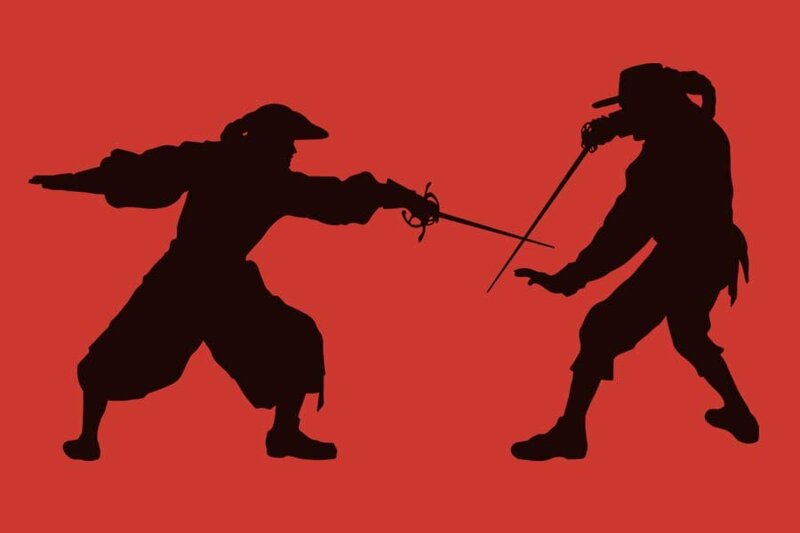 Cyrano uses the young beautiful soldier as a front for his love; the inarticulate soldier uses Cyrano to voice what he cannot say, and when Christian dies, the old poet is stuck in the mire of his successful lies: Roxanne can never love another. I didn’t want that for my characters. Nonetheless, the play echoes through novel, a sort of “tuning fork” that pings continually, especially with the notion of panache! Cyrano, though he did not invent panache, certainly embodies it. His wit, skill, charisma, irreverence, all create a sparkling aura around him. He declares “Nothing can take my panache!” and he is correct; it’s a gift. In my novel Roxanne Granville often speaks of panache, but she has to earn hers. She does not always sparkle, though she models her actions on the daring Cyrano, fond of dramatic gestures, and sassy bravado. She makes mis-steps and errors. She sometimes hears the whisper of her grandmother’s voice reminding her Never forget that you are Roxanne Granville, named for the romantic heroine of a great play. 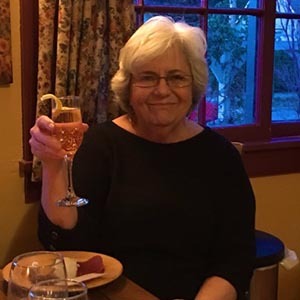 Only toward the end of the novel does she recognize that, like the original Roxanne, she has matured through suffering she has largely brought on herself.